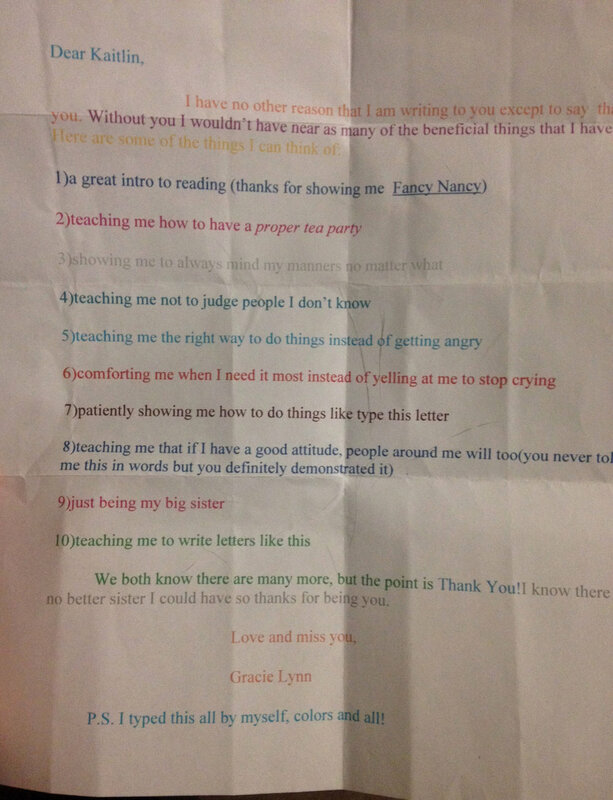 There’s no recommendation I am more proud of than this letter from my little sister, written when she was in elementary school. It tells you that I treasure words and stories. That I am patient and persistent. That I never underestimate the magic of being surrounded by good people.